During a lunch break on the first day of Islam Conference in the German capital Berlin, representatives of the Muslim bodies approached the open buffet table. One of them asked the waiter if the meat served in the food was Halal. The facial response of the waiter indicated how oblivious he was to a major Muslim practice. However, the worst had yet to come. Later on, they learned pork was actually being served as well. That is about how much Islam Conference represents the Muslims of Germany. 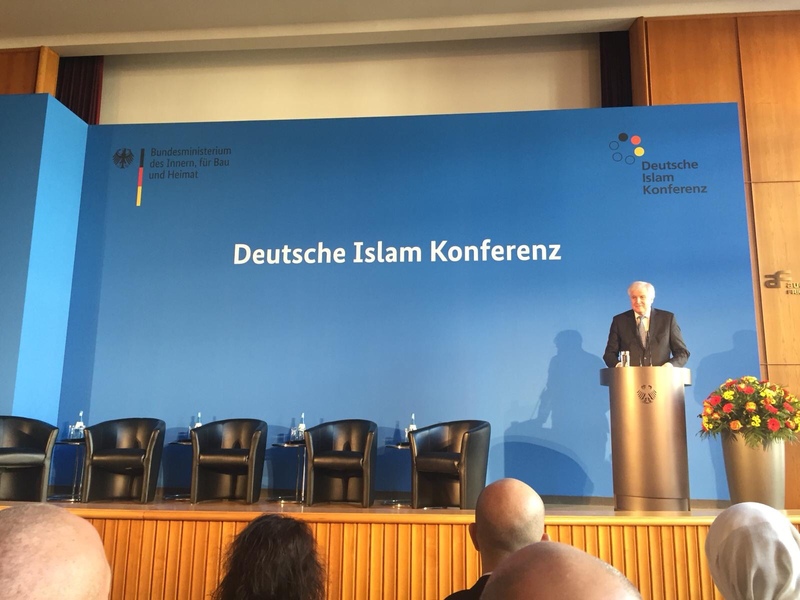 German Interior Ministry convened the 4th Islam Conference in Berlin, aiming to bring Islam in Germany under total state control but major Turkish Muslim institutions attended low profile to the highly anticipated organization, reportedly to protest the attitude of the German government. According to the people at the conference, Islamrat, IGMG and DITIB all of which represents almost the whole Turkish-Muslim community preferred to send low profile managers to the conference in an apparent protest to German government’s attitude in involving names and organizations which are considered heretic by the respected Muslim scholars and Turkish Muslim community. Seyran Ates, who founded Secular Islam Initiative with Green Party politician Cem Ozdemir a few days earlier was also invited to the conference and given the stage for a speech. Ates is known for her anti-Islamic views and has no respect nor representation of the Turkish-German community whatsoever. The Interior Minister Horst Seehofer himself took a u-turn from his previous stance and said Muslims are part of Germany. But he carefully refrained from saying that Islam is part of Germany. According to those who has been studying the matter, Seehofer’s message is Muslims can only live in Germany by practicing a German-made version of İslam. A head of a major Turkish-Muslim organization whom asked not to be named fearing further oppression from German state said the views of those attending the conference on Islam are so absurd, they actually made Seehofer look pro-Muslim. He also said he expects no outcome nor solutions to current problems of Islamic community in Germany since prominent figures had to ignore the event. Seehofer said he expects DITIB, IGMG and other Turkish Muslim organizations to cut ties with Turkey and train their own Imams which are currently financed by the Turkish government. “Solution to that problem is easy. All Seehofer has to do is to recognize Islam as a religion. Then We would not need to bring Imams from Turkey, open our schools to train them here,” said another prominent member of Turkish-Muslim institution.